The Little Dragons Program is for 3 to 5 year olds to learn the physical benefits of martial arts. The program teaches life skills that are essential to a child’s growth and development. These skills include focus, concentration, discipline, respect, and confidence. Many students experience improvement in coordination, flexibility, balance, strength, and body control. 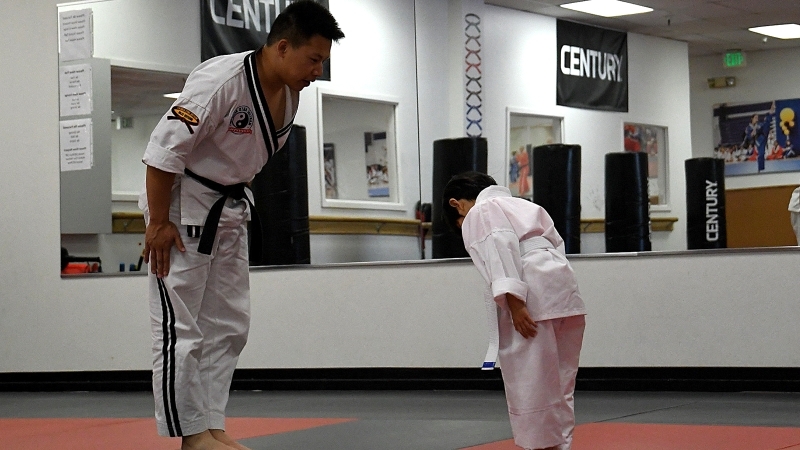 Besides success in the martial arts, we believe these benefits help provide a child with the skills necessary for future academic, athletic, and social success. The Little Dragons program prepares our younger students for the Children’s Program, which ultimately leads to Black Belt! Our Instructors and Staff are dedicated to teaching exciting, fast-moving, productive classes - day after day. Click Here to view Little Dragons Schedule.